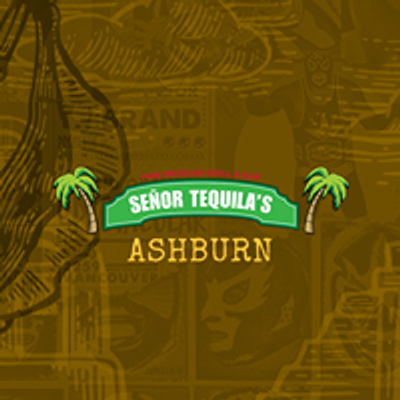 Senor Tequila's Ashburn - Grand Opening! 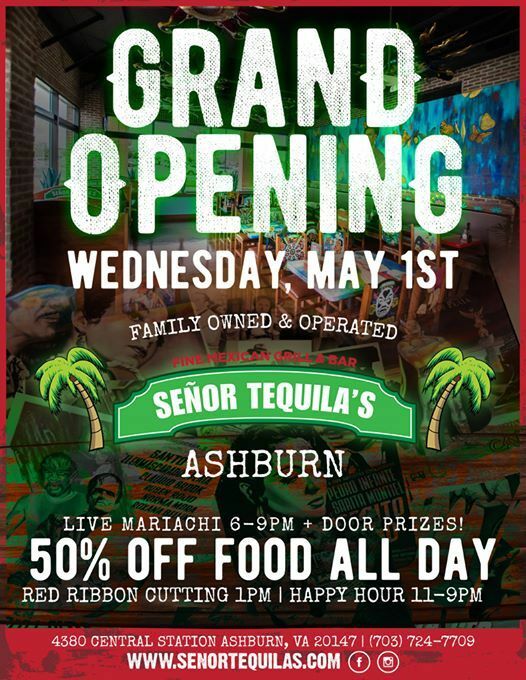 ?Join us for the ribbon cutting and grand opening celebration for Senor Tequila's location at Ashburn, VA on Wednesday, May 1st at 1PM ? ?? Senor Tequilas boasts all the traditional flavors of Mexican cuisine prepared with the freshest ingredients. They pride themselves on authentic flavors with long-held recipes and décor directly from Mexico. ??
? Senor Tequila will be offering specials all day to celebrate!
? Mariachi band from 6:00 p.m. to 9:00 p.m.
?Come by and enjoy the fiesta!